The brain’s function is dependent on the body’s ability to absorb nutrients and eliminate toxins. The types of food you eat affect how the body absorbs these nutrients, processes them, and eliminates the wastes. A poor diet will cause a build up of toxins. This build up will adversely affect how your brain functions. Therefore, a nutritious diet will help maintain excellent brain health and function. Vegetables and fruits should be the cornerstone of your diet. They provide the necessary vitamins, & minerals your brain needs to function. Vegetables, especially leafy green vegetables, will build up the brain’s gray matter (the brain cells), faster than the nutrients provided in meats and carbohydrates. Tomatoes are packed with essential vitamins, minerals have much antioxidants. Blueberries are rich in flavonoids which help build brain cells, and protect them dying. Vegetables & fruits also provide glucose, the brain’s primary fuel. Both vegetables and fruits are high in fiber. As a result, the glucose is slowly absorbed. Your blood sugar will not abruptly rise. You will have a steady energy source, and the brain will always be adequately fueled. Studies have showed that a low sugar/carbohydrate diet can cause memory problems. Healthy fats, such as omega 3’s and 6’s, are a building source for the brain’s cell’s membranes. Vegetables, such as kale, spinach, and soybean oil are rich in Omega 3’s. Walnuts & flaxseeds are also rich in Omega 3’s. Studies have shown that a diet deficient in Omega 3’s and 6’s can cause impaired learning, increased aggressiveness, anxiety and depression. Proteins are essential for continued growth and repair of the brain. Proteins help to form hormones, antibodies, enzymes, and tissue. Vegetables such as legumes, leafy green vegetables, and whole grains provide protein. Lean proteins, from chicken and fish, provide healthy proteins. Fish, such as salmon, are rich in the omega 6’s. The American diet is rich in red meats, fats, and excessive carbohydrates. These foods can increase the production of toxins. Red meats, such as beef, can be high in saturated fats and bad cholesterol. Cooked saturated fats are toxic to the brains blood vessels, causing an inflammatory reaction. The inflammatory reaction impairs brain function. Over time, this can increase the risk for stroke & degenerative conditions, such as Alzheimer’s disease. These toxins can greatly increase the risk for developing cancer, including Colon, and breast cancer. Red meats should be significantly limited from the diet to prevent excessive toxin build up, and prevent disease. Fried foods contain excessive saturated fats and are very toxic to the body & brain. Fast food and restaurant foods are often prepared by frying. Fried foods are increase inflammation in the body. Over time, this inflammation affects the brain’s function, as previously stated, can increase a person’s risk for cancer, stroke, and heart disease. All fried foods should be avoided if possible to achieve brain health. Fried foods are a leading cause of obesity, and poor brain health. Carbohydrates from refined or processed sugar have no nutritional value. Corn syrup, a processed sugar, is added to a lot of foods, including cereal, soda, ice cream, bread, and desserts. Processed sugars form toxic waste that are dangerous to the body and the brain. Once they are absorbed by the body, they are immediately converted to fat, and are a major cause of obesity in the United States. It greatly increases the risk for diabetes, and stroke. White bread, and pasta are high in processed carbohydrates. Processed Carbohydrates should be limited for excellent. Instead, Vegetables have natural complex carbohydrates which are not toxic to the brain & body. Simple sugars found in fruits are more beneficial to the body than processed sugars. Processed foods also contain preservatives such salts. The excessive salts can greatly increase blood pressure, and can impair brain function. Monosodium glutamate, a common preservative, has been shown to injure brain cells. Sodium nitrates are added to meats, including hot dogs, bacon, corn beef, lunch meats, and sausage. Sodium nitrates are toxic to the brain as well. Adding excessive Red meats, Fried Foods, processed carbohydrates to the diet will significantly increase toxins in the body. Over time, the excessive toxins can be detrimental to brain health. This impairs brain function leading to conditions such as depression, anxiety, stroke, and dementia. A diet rich in healthy vegetables and fruits, lean meats, such as poultry, fish, pork; nuts, such as almonds, can reduce the amount of toxins in the body, and help maximize brain function. Elimination of toxins is very important. The liver, kidney, heart & lung, and skin are very important in eliminating toxins. Vegetables are high in fiber, and help aid bowel movements and elimination. Daily water intake, 6-8 glasses of water, help the kidney to eliminate the body’s natural waste produce, urea. The lungs and heart are important in getting rid of carbon dioxide. Sweat is also a great eliminator of toxins as well. Exercise and deep breath are excellent ways to eliminate toxins. A change in the diet as outlined above, adequate hydration, and daily moderate physical exercise are very important to reduce toxin formation and elimination. 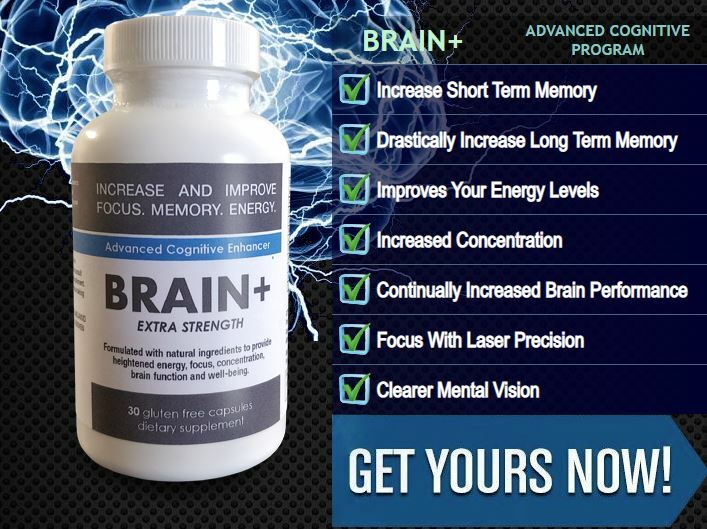 This will slow the aging process, prevent disease, and maximize brain function. Feed your brain and body the right stuff. Your health depends on it.